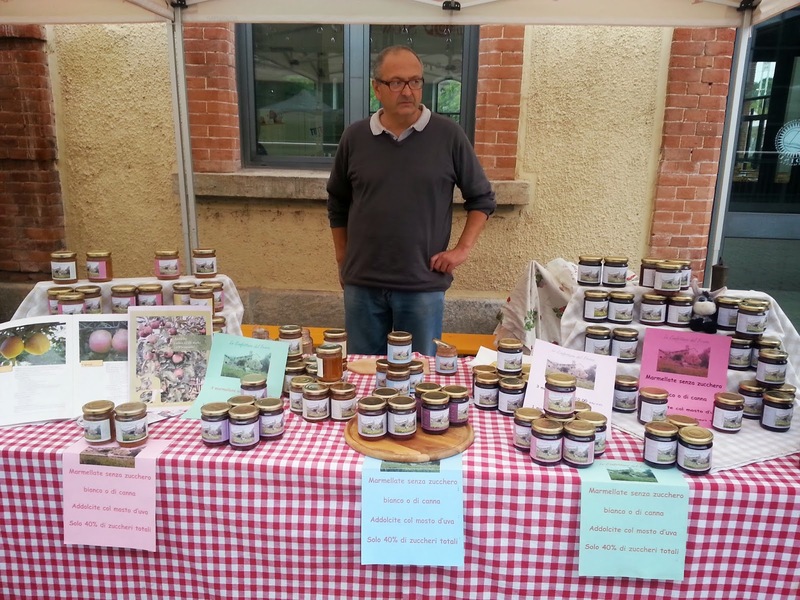 It's been now a few years that in Turin and in Piedmont Slow Food organizes an Market of the Earth or Mercato della Terra, as we say in Italian. Having met Leo Rieser, the organizer of the Market of the Earth in Turin, we decided to go and take a peek ourselves. As many know, in Italy we are rather lucky because the food we buy in our grocery stores is usually fresh and for the majority, locally sourced. Moreover, the food Italians buy at their neighborhood market might not be officially certified organic, but overall, it is very genuine. Depending on the seasons, the market food might not always be totally local everywhere, for example the oranges you buy in Turin in the winter, like those thrown during the Carnival battle of the oranges in Ivrea are obviously from Sicily, on the other side of the country. However, the "organic urge" people experience in many countries, and the "farmers' market thirst" isn't really experienced as deeply over here. 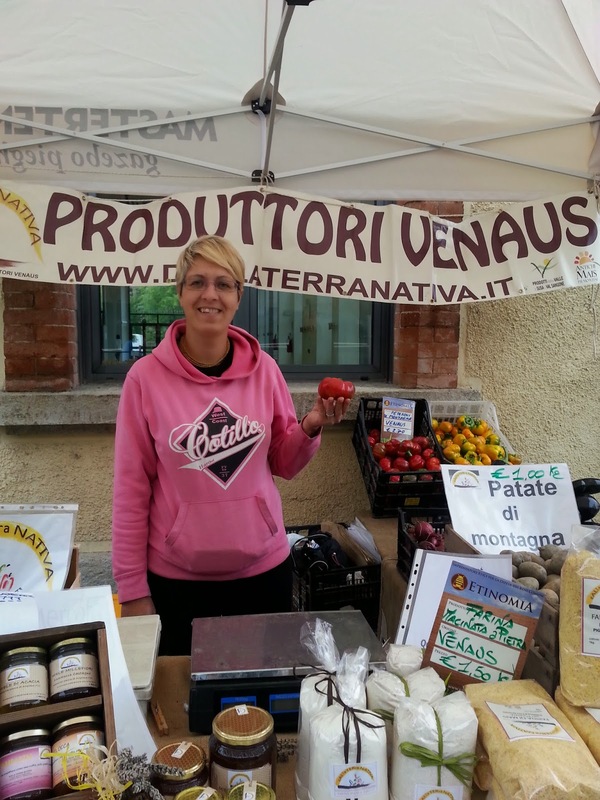 In fact, in Italy, getting products from smaller producers is still fairly easy and, rather than official farmers' markets, there are markets organized by groups of local producers (an Italian farmer wouldn't produce enough to sell) in the cities's squares. Considering that any major Italian city has a daily market in every neighborhood, these local producer markets are usually recognizable by the color and the smaller sizes of their stalls and the signs showing the area where the producer is from. The Slow Food Market of the Earth instead is a very interesting event because of the products sold there: not only they can only be Slow Food certified and belonging to a Slow Food presidium or certified producer, but they are also traditional and local products you can normally find only in certain villages, in our case, of Piedmont. Mercato della Terra in Turin started in mid September and it takes place every month on the first and third Friday, near the Polytechnic School, and every second and fourth Sunday, near the very first Eataly store. 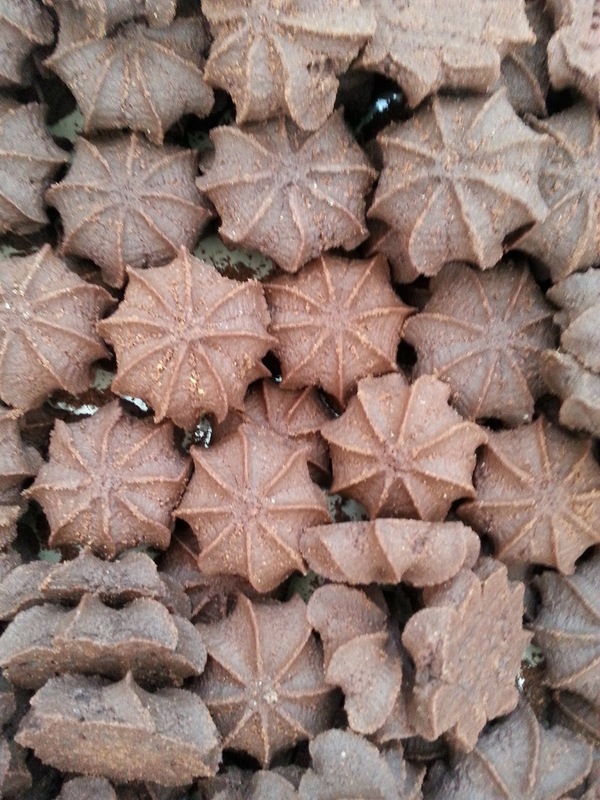 As the months go by and the weather changes, the producers and their products change too. 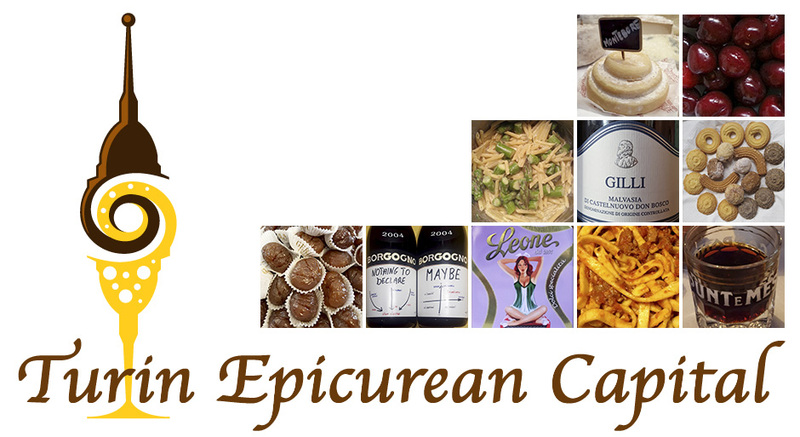 Seasonality is a big thing in Italy, people are used to it and enjoy it a lot and every season brings new foods. The Slow Food movement consistently stresses the locality, seasonality and traditional aspects of the products it supports as a way to encourage the diversity and peculiarities of the territories. As we had never been to one, a couple of weeks ago we visited Mr Rieser and the Slow Food producers. Just like in any market some products stroke our curiosity and interest more than others. 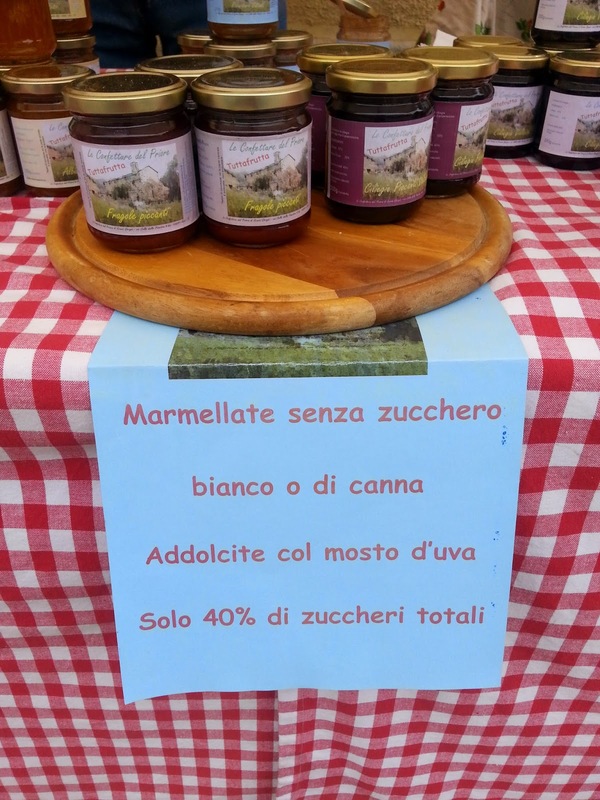 Having a diabetic friend, I was amazed to find out that in Val di Susa, on the western Alps in Piedmont, they make traditional jams and preserves without refined sugars but only must sugar and that they use only the local varieties of fruits they have access to in their alpine valleys. Among them, there was a special kind of apple that grows only there! The second stall was Romina's with her colorful and typical peppers, mountain potatoes, locally made jams and honeys. Peppers, zucchinis and local fruit were also on the stall of another lady who was wearing an original necklace made of tiny chili peppers. She also sold homemade pickles and sauces. 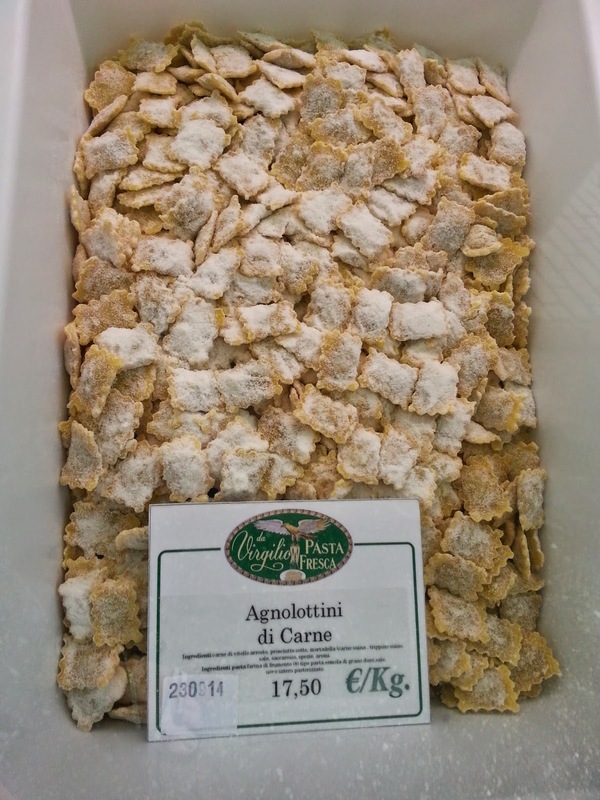 There was a renown pasta maker showing their agnolotti, the local meat filled pasta ravioli and different cheese producers displaying their goat and toma cheeses. 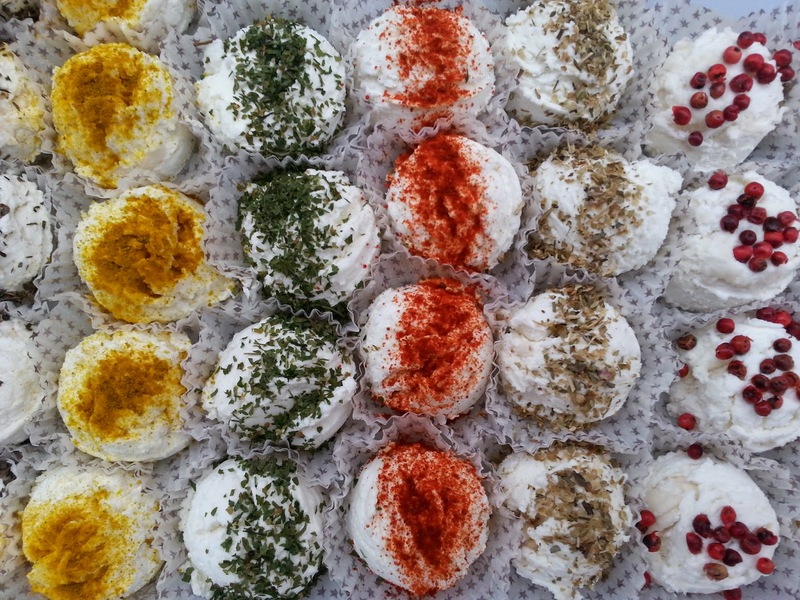 The tiny goat cheeses of one of them were so nicely arranged they looked like desserts. The producer explained that on her family's farm there are 40 goats, pigs and cows and they make all sorts of local cheeses and cured meats just like their grandparents did. 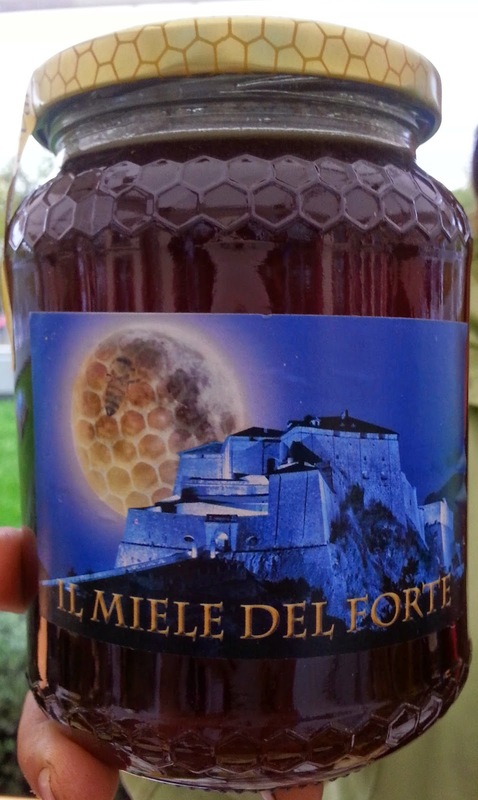 There was the honey, bees wax and pollen stall from Exilles, a very well preserved medieval fort. The bees of that area enjoy a great variety of mountain flowers and all their products are very healthy. For example, the honey extracts a good cold and flu remedies and pollen is a perfectly natural dietary supplement. Finally we saw breads, cookies and cakes and in a couple cases even had a sample! 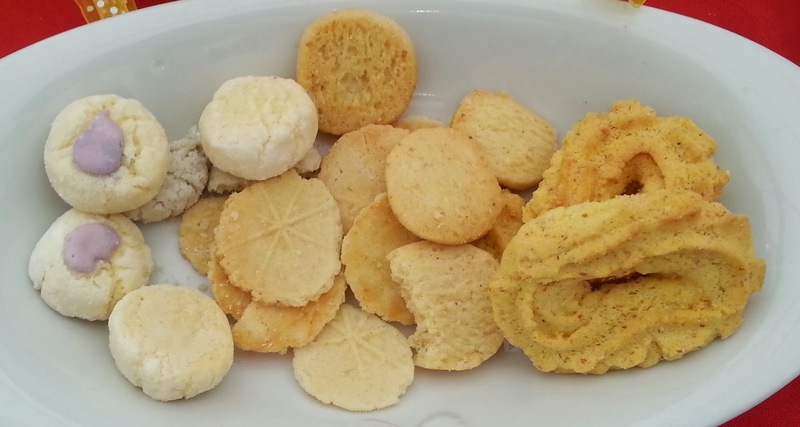 Piedmont like other Italian regions is famous for polenta and corn meal which is why in many areas they bake amazingly delicious corn meal cookies. Luciana, the Slow Food producer present at the market offered us a sample of her lavender cookies and boy, how fragrant they were! 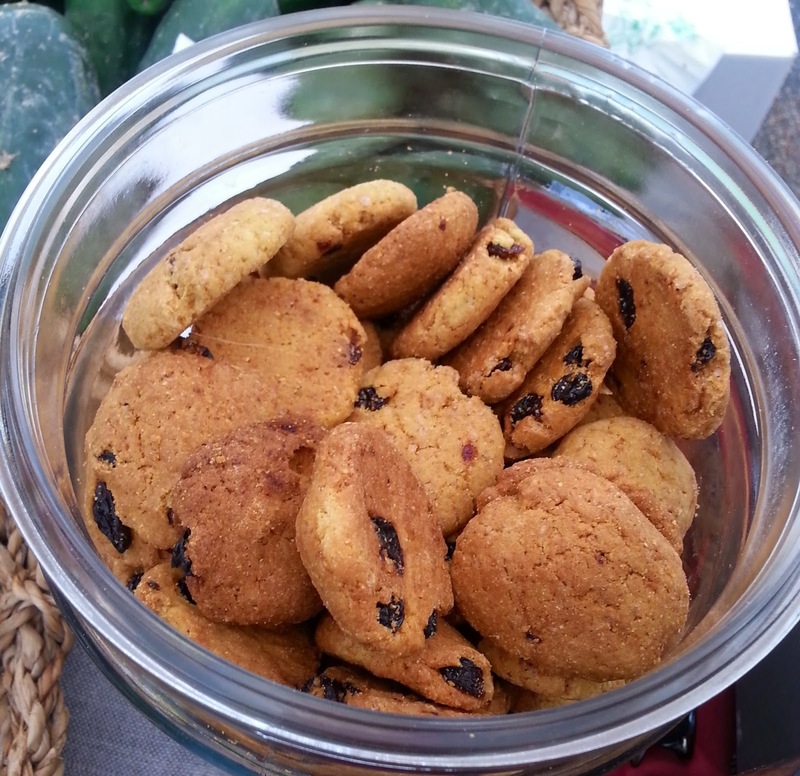 She was selling corn meal cookies - biscotti di meliga with and without sugar, butter or olive oil and flowers. A young man represented his family's bakery: his mom made the cakes, his father the breads and him and his sister the cookies. He said his family used only their own flours of different cereals or locally produced ingredients and made chestnut cookies, rye breads, whole grain breads and mixed cereal and nut baked goods. Finally, there was the hazelnut cake guy who stressed the fact that when he wants to enhance the hazelnut flavor of his products he doesn't add any flour and his cakes and cookies are gluten free and made only with hazelnuts, sugar and butter. There may be many markets and many local products but when you live the hectic city life it is nice to have access to these slow products that have the power of carrying the flavors of their original lands. 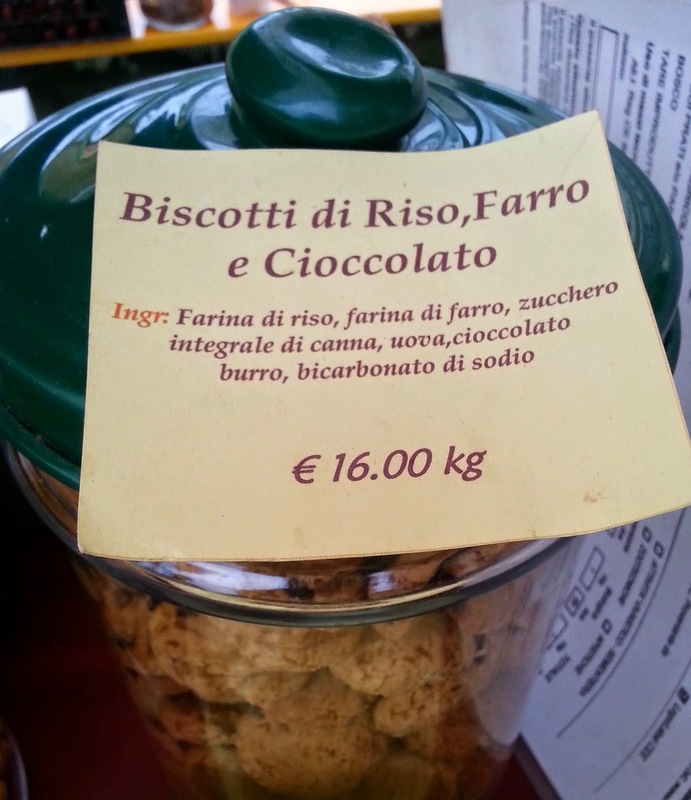 Mark down the Slow Food Mercato della Terra for when you come over and look up online for one organized in your own area: those products will amaze you!